The continuous detention of the leader of Islamic Movement in Nigeria, Sheikh Ibrahim Zakzaky, and his wife, Zeenat, for almost two years without trial is a sour point in the human rights rating of the President Muhammadu Buhari administration, writes John Shiklam. By December 14, it would be two years since the Muhammadu Buhari administration detained the leader of the Islamic Movement in Nigeria (IMN), Sheikh Ibraheem Zakzaky and his wife, Zeenat without trial even against court orders. Unfortunately, the case of El-Zakzaky and wife has however become one of the worst cases of human right abuses being recorded against the administration of President Buhari. Zakzaky and Zeenat had been in detention since December 14, 2015, following a clash between his followers and the Nigerian Army in Zaria, Kaduna State. Many of his followers, who were equally arrested during the incident, are also in prison custody facing different charges. By next month, the Islamic leader and his wife would have spent two years in detention without trial despite a court order for their release. An Abuja Federal High Court had on December 2, 2016, declared their continuous detention without trial illegal. Counsel to the Shiite leader, Femi Falana, had approached the court to demand the release of the duo several months after their arrest without being charged to Court, arguing that their continuous detention was unlawful and a violation of their fundamental rights. Justice Gabriel Kolawole, who presided over the case, had rejected submissions of the counsel to the State Security Service (SSS), Tijjani Gazali, that El-Zakzaky was being held in protective custody of the SSS, noting that, “I have not been shown any incident report or any complaint lodged by residents around the neighbourhood that the applicant has become a nuisance to his neigbourhood,” as claimed by the SSS. The judge had declared that the decision of the government to hold the Shiite leader for so long amounted to great danger. He however ruled that the continued detention of the couple violated their rights under Section 35 (1) of the Constitution and provisions of the African Charter on Human and Peoples Rights. 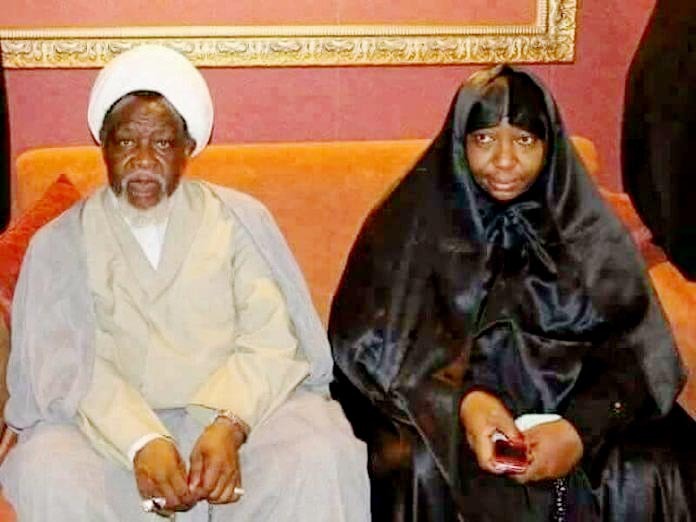 Consequently, he ordered that the Shi’ite leader and his wife be released within 45 days and must be provided with a suitable accommodation and security. The court also ordered the federal government to pay a fine of 50 million to El-Zakzaky and his wife. Dissatisfied with the decision of the court, the federal government filed an appeal on January 27, 2017, on the grounds that the trial judge erred when he ordered that a suitable accommodation and security be provided for the duo. The government also challenged the jurisdiction of the Abuja court, saying the alleged destruction of the Shi’ite’s leader’s property occurred in Kaduna. The appellant stated further that the judge erred in law when he lumped two cases together in his judgment stressing, that two separate judgments ought to have been delivered by the trial judge. Almost one year after the appeal, it is still pending as the Islamic leader languishes in detention. Several human rights groups had condemned El-Zakzaky’s detention without trial and described it as one of the worst human rights abuses. His followers have also not relented in demanding for his unconditional release. Ibrahim Musa, President of IMN media forum, in a recent statement said the federal government’s refusal to release El-Zakzaky despite the court order is the “height of impunity that had ever been committed by a democratic government in this country. It is even worse when a court has ordered the release of such a person, and the government contemptuously holds him. “Even previously under a military dictatorship headed by Gen. Muhammadu Buhari, nobody was detained without an order made, pursuant to a decree, the States Security Detention of Persons Decree Number 2 of 1984. “Nobody was detained without an order made by the detaining authority. Today, there is no such law. So, our case cannot be worse under a democratic dispensation as against what occurred in that military junta. How can you detain somebody for about two years, without trial! This is illegal and undemocratic,” Musa said. Falana has also written many letters to President Muhammadu Buhari, demanding the release of the IMN leader. The latest of such letters was dated November 6, (last Tuesday), in which he urged the president to stop the physical and mental agony that has been inflicted on the duo by releasing them to travel abroad for urgent medical attention. He noted that the refusal of the federal government to release them, despite the order of an Abuja Federal High Court has created a “dangerous impression that the federal government does not operate under the rule of law. “We urge Your Excellency to terminate forthwith the physical and mental agony that has been inflicted on our clients by releasing them from illegal custody and allowing them to travel abroad for urgent medical attention,” Falana wrote. The human right lawyer also lamented the deteriorating health condition of El-Zakzaky, who, according to him, “was at a risk of total blindness” while his wife is still going through “excruciating pain and agony” as a result of bullets still lodged in her body. “In case the federal government is not prepared to direct the State Security Service to comply with the orders of the Federal High Court, we are compelled to urge Your Excellency to order the release of the couple on health grounds. “Although Sheikh El-Zakzaky lost his left eye while he is on the verge of losing the right eye sequel to the brutal treatment meted out to him by the armed soldiers, the State Security Service has denied him foreign medical treatment recommended by the local specialists, who had attended to him. “Even the alternative arrangement put in place by the family of the Sheikh to bring eye specialists from abroad to treat him in custody has equally been rejected without any legal justification. It may interest Your Excellency to know that the medical condition of Mrs, Zeenat Elzakzaky is by far worse than that of her husband. “For reasons best known to the State Security Service, some of the bullets lodged in her body during the brutal attack of December 14, 2015 have not been extracted up till now. In the circumstances, she has been subjected to excruciating pain and agony on a daily basis. Her life which is currently in danger may be saved and prolonged if she is allowed to receive adequate medical attention without any further delay,” the letter read. The Nigerian Constitution however allows citizens the freedom of association and movement and members of IMN are free to associate as long as they respect the laws of the country and do not infringe on the rights of others. Nevertheless, El-Zakzaky’s long detention without trial and similar other cases like the one involving the former National Security Adviser, Sambo Dasuki, are a serious minus to the human rights record of the Buhari government, which it must consider a challenge to be addressed, indeed with urgency.